Operating systems are the core of our technological experience. Since so many of our portable devices feature displays that allow navigation, software has been created in order to provide users with a seamless, manageable experience. Operating systems organize the information that we access when we use our technologies, whether that’s a computer, smart phone, tablet, television or other device. Operating systems function like waiters that serve us our commands on a silver platter, or in an application or web browser. Windows is an operating system that has been offered by Microsoft since the mid 1980’s, making its modern version super refined and fine-tuned. As such, its nearly a perfect system and is very common within modern electronics, especially when it comes to gaming. In this article, we first give a brief overview of two of the most recent models of the Windows operating system – Windows 10 Pro and Windows 10 Home. Then, we specifically discuss the pros and cons of each operating system when it comes to gaming. Finally, we offer our thoughts on which customers would benefit most from each operating system. Windows 10 Home costs $ and is ideal for usage on any personal computer. However, a version of it is used to power the Xbox One gaming console as well as various smart phones and tablets. The two main alternative operating systems when it comes to gaming on the PC market is Apple’s operating system and the Linux operating system. When it comes to smartphones and tablets, Google’s Android operating system is also a popular option on many devices. Ultimately, Windows 10 Home is the basic operating system that supports many different electronics, most prominently laptops. Windows 10 Home supports the latest in display resolution as well as touchscreen technology, making it one of the most cutting-edge operating systems. Windows 10 supports advanced technology when it comes to logging in. This means it dovetails well with fingerprint sensors and facial recognition technology. Furthermore, Windows 10 comes with the Microsoft Edge web browser that works perfectly on all devices. Microsoft’s version of the digital assistant is Cortana, which is an artificial intelligence technology that complements your Windows 10 device. Lastly, Windows 10 Home features a Game Bar and Game Mode. In this sense, it’s very gamer-friendly, which will be our main concern in this article. The Windows 10 Pro operating system is a nearly identical operating system to Windows 10 Home, though it has some additional features suited to certain users. The main distinction perhaps is the price, as the Windows 10 Pro operating system costs $. Windows 10 Pro allows users to delay when certain software updates are initiated. This feature is not available for many updates on Windows 10 Home. Furthermore, Windows 10 Pro offers more extensive security measures and expanded remote features, which makes the software ultimately more sophisticated. It turns whatever device it accompanies into a dynamic, super functional machine able to interact with us on a personal level. Also, the Windows 10 Pro operating system offers users the ability to run virtual operating systems with its Hyper-V technology. This is a technology that is not on Windows 10 Home, yet it might appeal to more advanced and professional gamers as well as anyone interested in business, technology or computers. When examining Windows 10 Pro vs Home for gaming, the price of each system is an important factor. In particular, Windows 10 Pro is $80 more expensive than Windows 10 Home. Yet, Windows 10 Pro offers only several additional features that Windows 10 Home does not offer. Unless these features appeal directly to you, we suggest going with the more affordable system. In terms of gaming, the affordability of Windows 10 Home will allow you to save money that you can then spend on other gaming equipment. Alternatively, you can use the saved money to buy more games, or more add-ons within games. The gaming industry is very profitable because there are so many expenses related to gaming equipment. Much of this equipment is considered necessary by gamers, especially more professional ones. 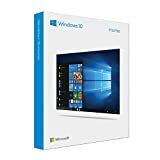 Thus, when considering the Windows 10 Pro vs Home for gaming, the lower price of Windows 10 Home makes it the most optimal system for gamers because it allows them to use that saved money to buy better or more gaming equipment. Unless a certain feature on Windows 10 Pro calls out to you, Windows 10 Home is the best operating system for gamers. Game Bar is a significant feature that is included in both Windows 10 Pro and Windows 10 Home. This feature can be summoned by pressing the Windows Key + G. This simple functionality makes its extremely easy to use, which is significant considering that gaming features on many operating systems can have a high learning curve. Once summoned, this bar allows gamers to utilize a number of functions. Most noticeably, gamers can stream and record their gameplay as well as take screenshots. These features will appeal to aficionado gamers who are part of gaming communities. Many gamers like to share their gameplay with others. In fact, sometimes this sharing can entail more than just entertainment but strategy, as professional gamers often review footage of their matches much as a professional athlete analyzes their past performances. What’s great about Game Bar is that it can be customized. Users that have either Windows 10 Home or Pro can tinker with many settings concerning Game Bar, such as keyboard shortcuts and other broadcast and audio settings. Ultimately, Game Bar is geared towards users that are more technologically savvy. In this sense, if you are only looking to engage in some recreational gaming, then the presence of Game Bar might not be a significant factor. However, if you think your interest in gaming is only just beginning, and that you might game more frequently in the future, then the presence of Game Bar feature might be more important. Alternatively, many gamers that have been streaming their gameplay for a while using other technologies will appreciate Game Bar, as it’s perfectly integrated with the rest of the Windows 10 operating system. Game mode is another factor to consider when examining Windows 10 Pro vs Home for gaming. Game mode would benefit all gamers and helps maximize your systems’ processes when you’re gaming. This entails minimizing computational processes that would interfere with the applications being run when gaming. Ultimately, this can help extend your battery life and keep you gaming for longer. Some users even claim that game mode makes their gameplay more seamless and fluid. While the tests concerning the performance, boost caused by game mode have been inconclusive, it’s still a worthy mode to initiate. The main drawback to both game mode and game bar is that they cannot be used for many games in full screen mode. This limits their functionality and results in not only more inefficient gameplay but also less customizable gameplay. While some users might be able to get by without game mode, many users rely on streaming and capturing their gameplay. In fact, this is some gamers sole purpose when purchasing certain games. Yet, given how many games do not pair well with these gaming features, some users might be disappointed by Windows 10 Pro or Home. Of course, many users can purchase additional technologies in order to enable gameplay streaming and efficient gaming. Yet, these technologies are often not designed to work smoothly with the operating system, and awkward experiences can result. Thus, when examining the Windows 10 Pro vs Home for gaming, make sure you also make a list of the games you plan on playing. Then, research whether these games support game bar and game mode. While both operating systems support these features, some of your desired games might not. Of course, any discussion of gaming without mentioning graphics would be remiss. Both Microsoft Windows 10 Pro and Home support the best resolution possible when it comes to screens, which is typically 4K resolution on larger monitors. Many gamers like to use more portable equipment, like laptops, tablets and smart phones. Microsoft’s Windows operating systems supports the highest resolution available on any of these devices, which makes it one of the most sought after operating systems in the industry. Simultaneously, many of these devices do not feature Window’s operating system at all. While the Window’s operating system practically monopolizes the personal computer market, it’s less popular in smart phones and tablets. Furthermore, the only gaming console that it’s featured in is the Xbox One. Sony’s PS4 and Nintendo’s Switch utilize a unique operating system that is different from Windows. When considering the Windows 10 Pro vs Home for gaming, the graphics displayed is not really a huge point of discussion. Both operating systems support HD experiences, regardless of what device is being used. Microsoft advertises Windows 10 Pro as coming with BitLocker and Windows Defender Antivirus, which are two pieces of software that keep your devices resistant to theft, viruses, and hacking. Additionally, Windows 10 Pro enhances your ability to use Remote Desktop, which allows you to access your files, folders, and applications from essentially any device. While Window 10 Home does allow users to access some of their content from remote locations, Windows 10 Pro expands this capability and allows users to access their content from almost anywhere. Both these security measures as well as the remote desktop access makes Windows 10 Pro ideal for any gamer involved in the business world. It’s important to remember that many gamers also have careers, and sometimes these are related to gaming while sometimes they are not. Regardless, being able to minimize stress related to other aspects of your life are critical when gaming frequently, as less stress results in a more immersive, enjoyable playing experience. Many gamers will appreciate these additional features on Windows 10 Pro because they will make their usage of their devices more efficient. If a gamer is using a computer, for example, then the security features will help keep the computer running smoothly and seamlessly, which will enhance each gaming experience. Additionally, if someone does a lot of gaming while traveling, then perhaps the remote desktop feature will appeal to them. For example, if you are a professional gamer and you need to access some form before a tournament, you might have to use someone else’s laptop or smartphone. If you have remote desktop enabled, this will allow you to access your Windows files, allowing you to easily print off the form. Alternatively, many businesses purchase Windows 10 Pro because they want to assure that their employees have access to the most advanced features available. Many employees like to have seamless access to their workstation both at work and at home, so the remote desktop feature associated with Windows 10 Pro is very popular. Many businesses like to purchase the Windows 10 Pro operating system because it supports entertaining gaming experiences that can unite their employees. This can result in increased productivity down the road as well as attract more skilled employees to the company. In this sense, Windows 10 Pro is ideal not only because it facilitates these gaming experiences but because it also focuses on security and remote desktop access. These are invaluable tools for any business, let alone one that wants to engage in occasional gaming tournaments. By choosing Windows 10 Pro, businesses can guarantee that important information is being protected on their devices whenever they take a break. Many hackers and cyber criminals like to strike when businesses are least expecting it, and this can be avoided by purchasing Windows 10 Pro. Thus, while Windows 10 Home might be ideal for gaming at home, Windows 10 Pro might be ideal for gaming at work, as using the work network for recreational purposes might make it vulnerable to cyber-attacks and data breaches. In these moments, you want the maximum security that Windows 10 Pro offers, namely preemptively locating threats and instantly removing them. Another factor to consider when examining Windows 10 Pro vs Home for gaming is the ability to delay certain updates. Many gamers like to resist updates as long as possible in order to prevent some element of their gameplay from changing. This might be due to some aesthetic reason, or it might be related to some gaming business. Many gamers make money off streaming their gameplay and uploading commentary videos. In this sense, an update might disrupt a video you are making or make a stream seem inconsistent. This ability to delay updates for up to a month is only available on Windows 10 Pro. Users who use Windows 10 Home can typically only delay updates for a day or two at most. Windows 10 Pro is also unique because it harnesses Hyper-V technology in order to allow users to run virtual operating systems. This will appeal to gamers who also do a lot of computer programming and general experimentation with technology. This Hyper-V technology could allow a gamer to run an older operating system that supports some classic, older video game. Of course, accomplishing this might require some advanced computer knowledge. Still, this technology might be perfect for more advanced gamers that are looking for a new project to cut their teeth on. We think when analyzing Windows 10 Pro vs Home for gaming, price might be the most important factor. If you are on a budget, we think Windows 10 Home is a no-brainer because it’s cheaper. Ultimately, the unique features that Windows 10 Pro offers are more geared towards businesses. Unless these appeal to you, we recommend saving and going with Windows 10 Home. If any of these features do appeal to you, then it might be worthwhile to purchase Windows 10 Pro. In the grand scheme of things, the price isn’t that much money to assure that you have every operating system feature you want. New operating systems aren’t created every day, so this investment would likely pay off over many years, even if you only use some feature once or twice. Regardless, we think either Windows 10 Pro or Windows 10 Home are efficient operating system that most gamers will appreciate.